WOW Saddles sponsored rider Philip Spivey is back from the Atlantic Tour in Portugal and gives us the lowdown on his trip! “We had a mixed tour in Portugal. The younger horses jumped very well. The 5 year old, called Darya I Nur, was placed every weekend and then in the finals. The seven year old, Smirnov, was also very good and having been placed every weekend he was 9th in the 7 year old finals. I was very pleased with both of them! The older horses also went well, Virginia 188 had a couple of placings but lost a shoe when we first got there so her tour got better as it went on. Zarina got better and better with some great placings but unfortunately Pinto du Lusse got colic the first weekend we were there so had to be shipped off to a clinic and then back to his owners (who happen to live in Spain) to recuperate. He is doing well now though and on the road to recovery so will be back soon. All in all I was pleased, apart from the poor sick horse, but particularly with the young horses as they learnt a lot. 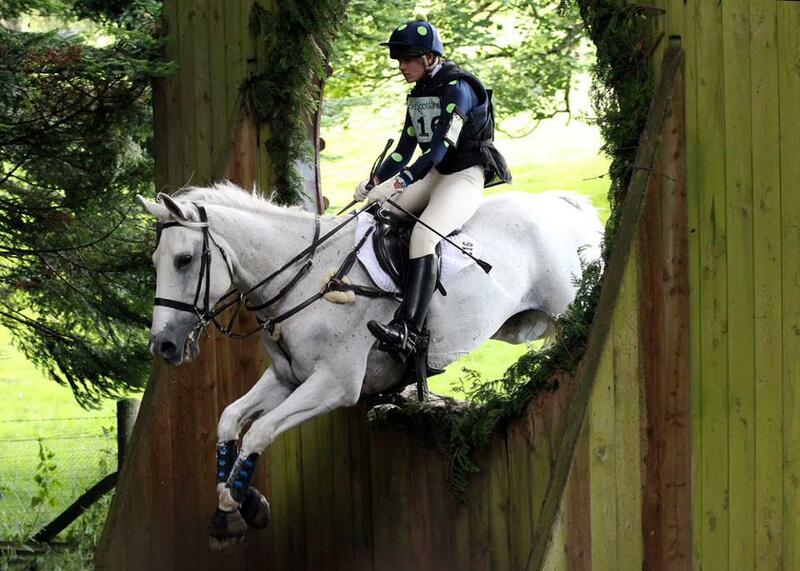 We were pleased to have cheered Vanessa Thomas up by announcing her as the November saddle cloth winner! This is a picture of her and beautiful horse Sailor. 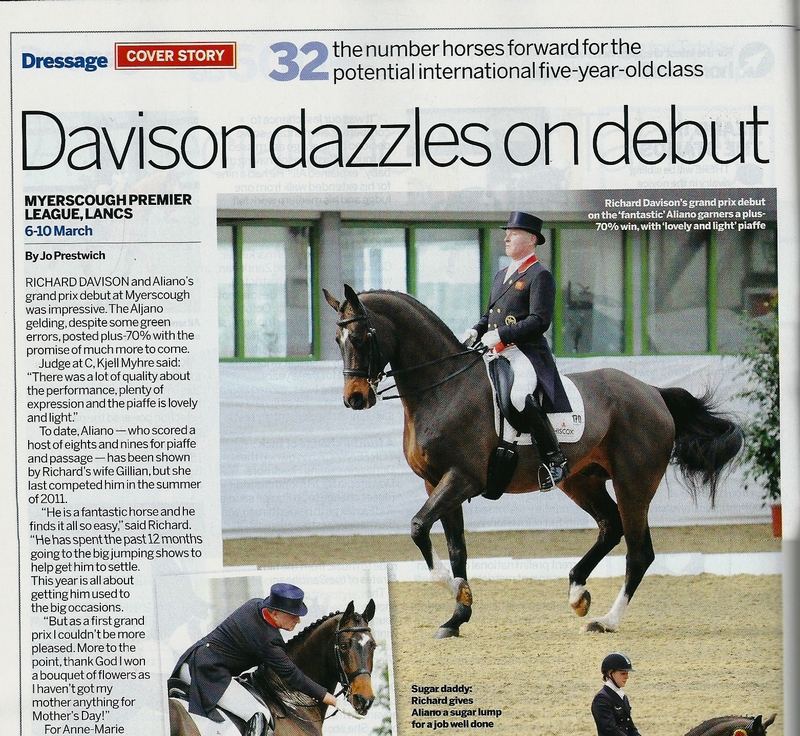 “This shows me with my young horse Gilmore Tricolour (Sailor) competing for the first time this year. We came 2nd in this class to qualify for UK Riders Championship and Trailblazers. Sailor is an 18hh tri-colour gelding. I have had him 2 years but surgery prevented me competing last year so we are still very ‘green.’ I spent the winter training with Lesley Peyton-Gilbert so I am delighted with our performance this year. Since this photo was taken we have competed at UK Riders and Equifest where we came 11th and 6th respectively. I have never competed in such busy competitions before and it is all new to Sailor so I am very happy with him and we had fun too! …you could win a WOW Saddle Cloth! Simply post a picture of you and your horse out training or competing in your WOW Saddle for a chance to win a WOW Saddle Cloth. Along with the picture, tell us your horse’s name, and where you were training. If you are posting a picture of you competing in your WOW Saddle, then please tell us the date of the competition and where it was held. Each month our favourite picture will win a Saddle Cloth. Any picture can be posted on to the WOW Saddle Facebook page but in order for your Saddle Cloth to be posted out to you, we will need a high-res copy of your picture. Winners will be notified with instructions on where to send the high-res picture (please note we don’t need the orginal photo, just a high-res copy that can be sent or emailed). 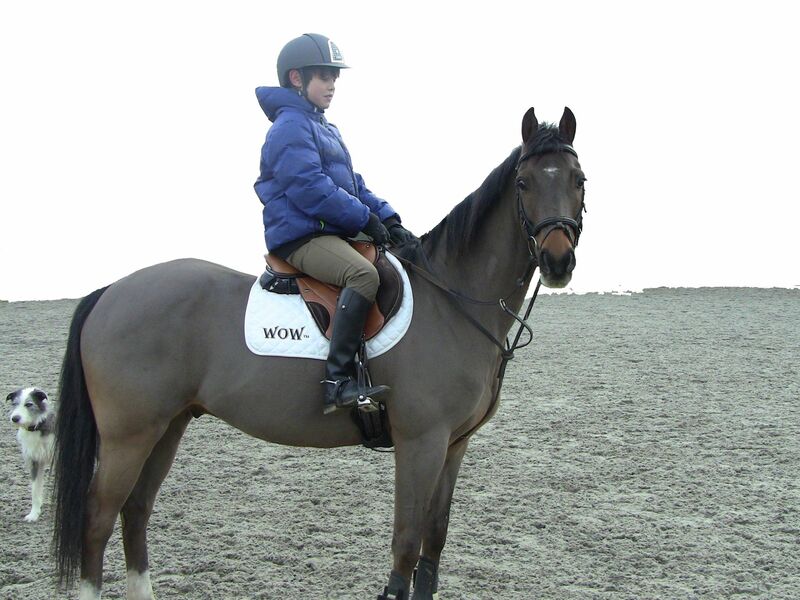 By entering the competition and by posting your picture you agree for WOW Saddles to use your picture in any future promotions and/or literature. 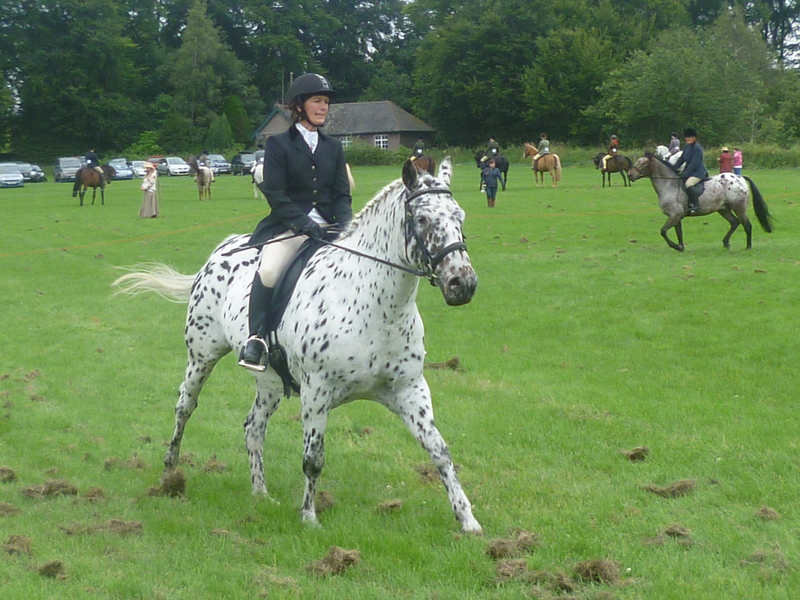 This is Susan Rore and her lovely Appaloosa, Lindertis Doubletake (Indi to her friends)! “I’ve had Indi since she was 5 months old (she’s just turned 6) and am completely and utterly smitten by her and appaloosas in general. She is just the easiest, nicest horse I’ve ever known!! 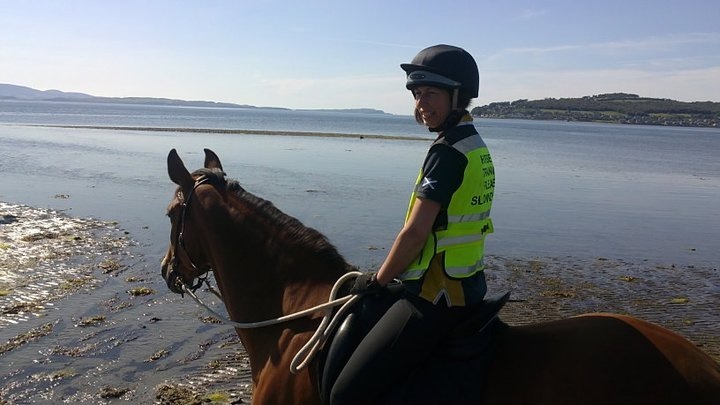 Indi lives with our other two horses at home on the north east coast of Scotland and we hack, school, have done a few dressage tests and some showing with success! We’ve just started jumping (Indi being much better at it than me!!). We live close to the beach, which Indi loves. Indi has worn her WOW dressage saddle pretty much since she was backed. She’s had a couple of refits/headplate changes as she has grown and matured. I wouldn’t consider riding her in anything but a WOW as her comfort is my top priority! It’s perfect that I find it so comfy and so secure too! REMEMBER…we will need a high-res version of your picture, so please make sure you have one. Any picture can be posted on to the WOW Saddle Facebook page but in order for your Saddle Cloth to be posted out to you, we will need a high-res copy of your picture. Winners will be notified with instructions on where to send the high-res picture (please note we don’t need the original photo, just a high-res copy that can be sent or emailed). 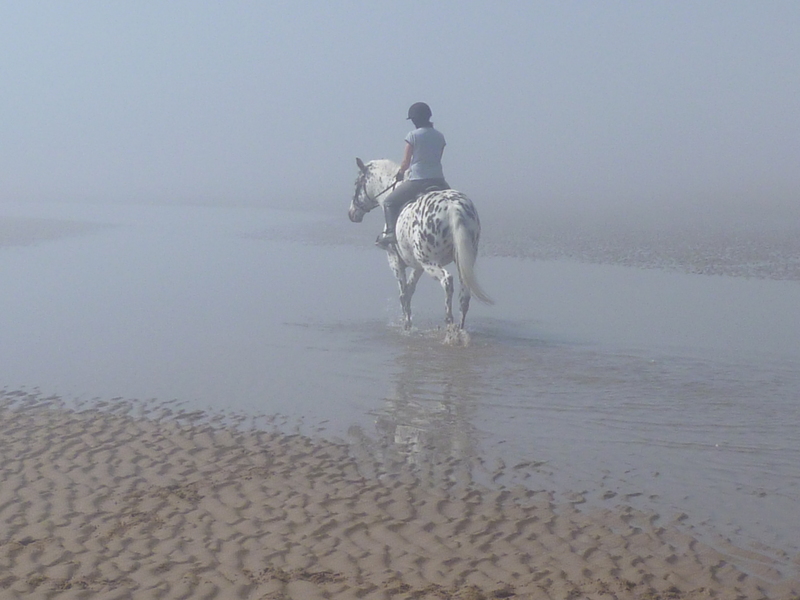 By entering the competition and by posting your picture you agree for WOW Saddles to use your picture in any future promotions and/or literature. Congratulations to Brooke and her owner Kirsten. They have won this month’s competition and a WOW Saddle Cloth will be on its way to them! Kirsten says “Brooke will only be ridden in a WOW Saddle as she won’t settle in any other after being diagnosed with a back problem. The vet diagnosis was that she had a 50/50 chance of ever being ridden again – and now we are back competing after a long haul. I wouldn’t part with my WOW or her! When I think I bought her from a dealer after finding her in the back of a farmer’s sheep shed four years ago all skin and bone and what we have been through with her back – to where we are now, it’s truly amazing. I am so proud of her. I even took on a second job through the summer to afford extra training and her trainer said to me just the other day that she is now starting to produce some stunning work and she feels amazing. I recently had Brooke’s passport checked with the Sports Horse Society and found out that her great great grandfather was indeed none other than the “Dutch Courage”. I couldn’t believe it! We were so pleased to hear of Brooke’s amazing transformation. If you have a story about your horse that you would like to share then please email us – we would love to hear from you. If you are chosen as the winner – you will need to provide us with a high res picture. View our notes page for full terms and conditions. The winner of our February competition is…. ….Amelia Green and Grimley Fiendish. There were some amazing pictures this month and we found it hard to decide on a winner, but we simply loved this picture! Amelia please email us at firstthoughtequinewow@gmail.com with a high res copy of your picture and your address so we can send out your WOW Saddle Cloth. Thank you to all those who entered. Don’t forget you can still be in with a chance to win a WOW Saddle Cloth this month – just post a picture of you and your horse in a WOW Saddle. Please remember that if you are chosen we will need a high res copy of your winning picture. Good luck!